The effects of severe sleep apnea can be quite severe. There are studies linking it to premature death. Those that suffer from it are more likely to suffer from other sleep disorders as well. The longer the sleep apnea persists, the more likely these risks will take place. The good news is there is help for patients suffering from sleep apnea in any form. About six percent of individuals in the United States suffer from moderate or higher levels of sleep apnea. 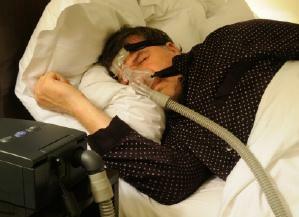 Severe sleep apnea is diagnosed by doctors during a sleep study. In patients that suffer from it, the patient has above 50 on the respiratory disturbance index, (RDI). This means that these individuals are disturbed an average of 50 times an hour by their sleep apnea. In this form of sleep apnea the individual is slightly awoken by the brain because they cannot breathe. In most with severe and moderate sleep apnea, the cause is obstructive, meaning something is blocking the air passageway. This is usually tissue from the back of the throat and neck region. Loud Snoring: In severe cases, snoring is common, due to the blockage at the back of the throat. Turning from side to side or using several pillows to elevate the head is often necessary to alleviate the snoring. Frequent Silent Periods During Sleep: A person suffering from sleep apnea stops breathing for very short periods throughout the night. During these breaks, they are silent whereas they may have been snoring prior. Gasping for Air: At the severe level, many patients experience a gasping and full awakening throughout the night. This is a cause of the brain's triggering since the individual cannot breathe. Sleepiness Even After a Full Night's Sleep: Although the patient has slept for seven or eight hours, they are still very tired throughout the day. They may require naps. They are at risk of fallen asleep anytime, even while driving. In a recent study done by the Mayo Clinic, those who have severe cases of sleep apnea are more likely to have a heart attack during sleeping hours (12 a.m. to 6 a.m.) than those who are not suffering from the condition. The American Thoracic Society International Conference found in a study done in 2005 that those who suffer from moderate to severe cases of sleep apnea have a higher risk of suffering a stroke than those that do not suffer from the condition. Those suffering from the condition were three to four times as likely to suffer a stroke. Other risks to health caused by sleep apnea include hypertension (high blood pressure), heart failure and irregular heartbeats. Those suffering from sleep apnea of any form should contact their doctor to begin the diagnosis of the condition and the treatment. There is help available including CPAP machines and masks, medications and weight loss. This illness is possible to reverse in many people. Diet and weight loss are often necessary in those suffering from obstructive sleep apnea. Additionally, surgical procedures are available to help alleviate the amount of tissue blocking the airway. Without treatment of any form of sleep apnea, the brain is unable to get enough sleep which can lead to significant reductions in the patient's ability to function properly. Alternatively, with doctor help, many of these symptoms and risk factors are reversible.